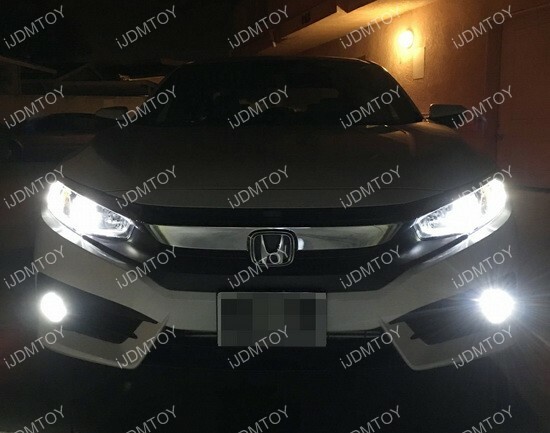 Updates and News about Honda for cars installed with iJDMTOY LED lights, HID lights and more. The New Honda Civic Type-R Has Been Revealed! When I first heard about the new Honda Civic Type-R, the first thing about it that caught my eye was the look of it. The brushed aluminum black paint job along with the red accents immediately caught my attention; those are my two favorite colors to pair. Along with the sleek looking body, the engine roof exhaust vent and rear spoilers in particular, the Civic Type-R looked to be a very attractive car for me. 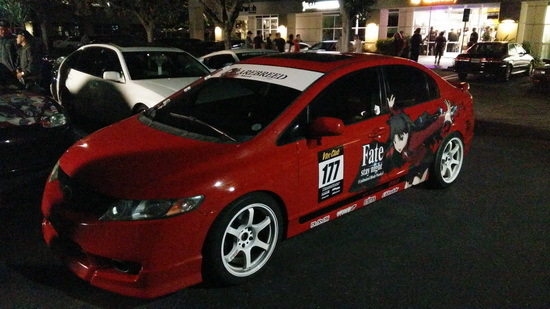 I also have a bit of a soft spot for Hondas, having driven a 2004 Honda Accord EX as my very first car. When I read the news that the Civic Type-R was unveiled at the Geneva Motor Show, I had to know the specs and more importantly, how much was it going to cost. One of the most popular cars for drivers of all ages is the trusty Honda Civic with its sporty digs and sheer affordability. 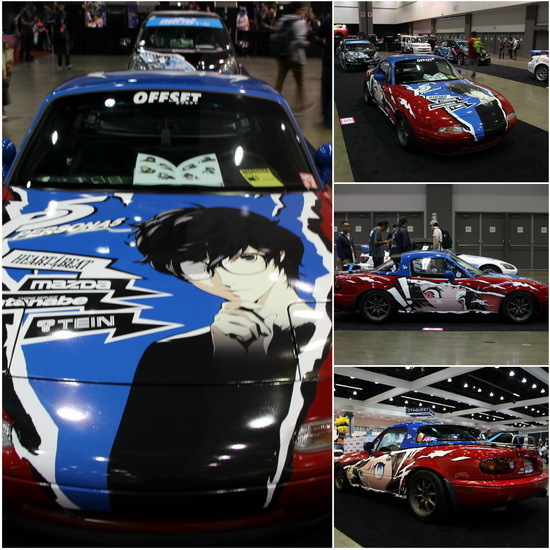 Since there are so many Civics on the road, drivers of the Civic like to spice up their rides and make them as unique as possible. This includes adding exterior mods, such as new lighting kits. We have here a set of brilliant red LED bumper reflectors for the 2016-up Honda Civic that sits on both ends of the lower bumper and adds a lot more lighting onto the car. 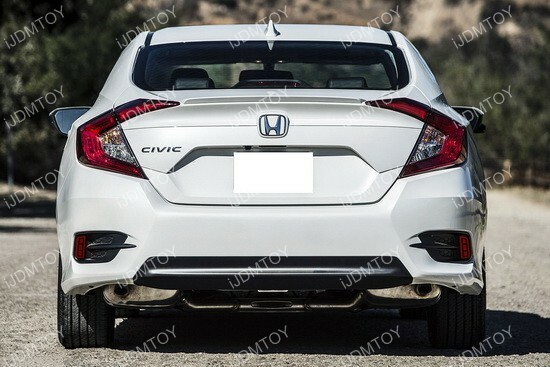 The Honda Civic LED rear reflectors will definitely make your Honda Civic look exceptionally unique since its not everyday that you see these JDM styled lights on USDM cars. quite intimidating when you’re trying to choose which lighting source is best for your car. The latest and greatest in car lighting technology is LED, so it’s no surprise that people are upgrading their stock incandescent headlights to LED headlight conversion. Converting your headlights to LED is a great way to get the latest LED headlamp technology without having to spend big bucks buying a new luxury car. These LED headlight bulbs are G1 high powered, with COB LED in a variety of sizes, like H11 H8 9005 9006 H10. The specially designed shape allows the LED headlight bulb to have a perfect optimal beam pattern and the special fan heatsink dissipates the heat coming from the LED bulb to prolong its lifespan.